A Chicago Fitting (also called a Duck’s foot fitting due to its shape) is one quarter turn fitting used for attaching hoses or piping together. 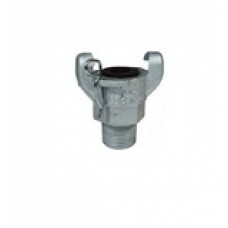 Chicago fittings are used on both low to medium pressure gas and fluid lines. The advantage of the Chicago fitting is that it can be used in a wide range of industries. Where as the Deluth fitting which is a similar in size and shape is only acceptable for use in the dairy industry. An additional advantage of a Chicago fitting is that there is no male or female fitting; both fittings are identical. 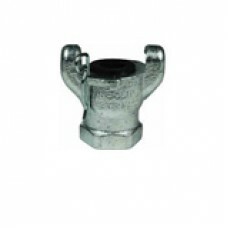 Use of supplied safety clip guarantees the fittings are properly connected because the safety pin wi..
FeaturesUse of supplied safety clip guarantees the fittings are properly connected because the safet..